Atlanta, Georgia. Porsche Works race driver Kévin Estre recently set a lap time of 6:56.4 minutes with the 520 hp GT3 RS. Porsche development driver Lars Kern shared driving duties with Estre, and the Frenchman’s lap time was 24 seconds faster than the best time achieved with the previous GT3 RS model. Following the 918 Spyder and the 911 GT2 RS, the new GT3 RS is the third production Porsche sports car with a notarized lap time of less than seven minutes on the “Green Hell.” As is customary for record drives, the time was measured around the 20.6-kilometer lap. Estre joined the team of Porsche Works drivers in 2016. He competes with the Porsche 911 RSR in the FIA World Endurance Championship (WEC) that includes the Le Mans 24 Hours. In the ADAC GT Masters he races the 911 GT3 R.
At the Nürburgring, the 911 GT3 RS was equipped with the latest generation of Michelin Pilot Sport tires. Optimized especially for track day use, the Michelin Pilot Sport Cup 2 R is fully compliant with relevant E.U. and U.S. standards. The tire (265/35 ZR 20 front and 325/30 ZR 21 rear) will be available to order soon at Porsche dealers and other select locations. Approved fitments include the 911 GT3 RS and the 911 GT2 RS. The 911 GT3 RS with a motorsport-bred chassis and a 520 hp (383 kW) four-liter, naturally aspirated engine had its world premiere this year at the Geneva Motor Show in early March. The high-performance sports car accelerates from 0 to 60 mph in 3.0 seconds and reaches a top track speed of 193 mph. The base MSRP in the U.S. is $187,500, not including available options or the $1,050 delivery, processing and handling fee. The Weissach Package is available as an $18,000 option. The Magnesium wheels can be ordered for an additional $13,000 in conjunction with the Weissach Package and will be available at a later date. 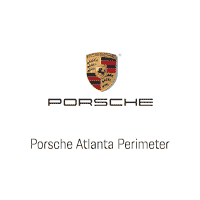 About Porsche Cars North America, Inc. | One Porsche Drive, Atlanta, GA 30354 USAEstablished in 1984, Porsche Cars North America, Inc. (PCNA) is the exclusive U.S. importer of Porsche 911, 718 Boxster and 718 Cayman; Macan and Cayenne; and Panamera. Headquartered in Atlanta, Georgia since 1998, PCNA is also home to the first Porsche Experience Center in North America featuring a module-based 1.6 mile driver development track, business center, and fine dining restaurant, 356.